The system allows the collection and the decay of radioactive liquid and organic waste produced in nuclear medicine by the use of Technetium for diagnostic purposes. 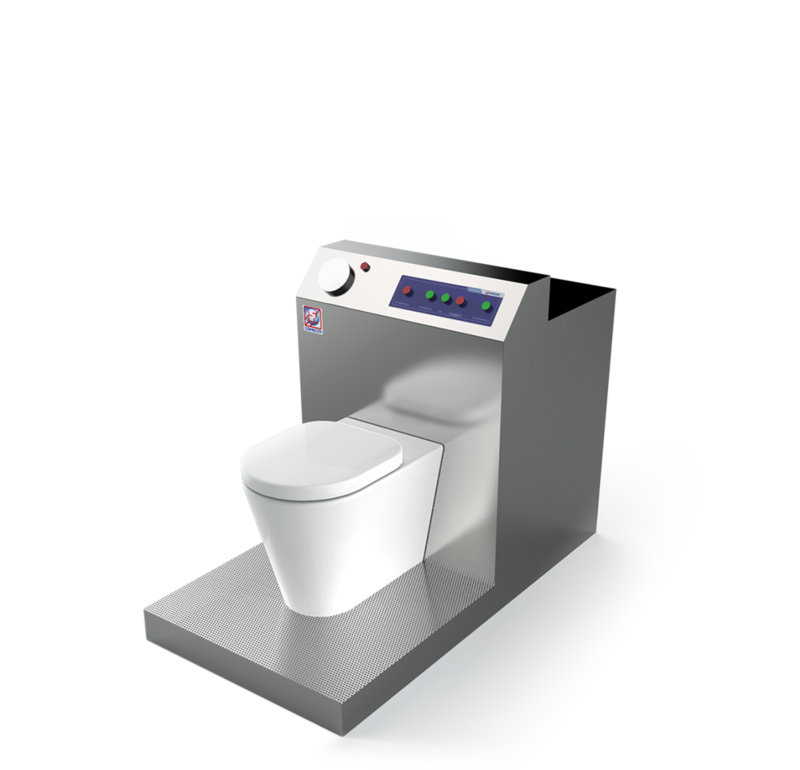 It consists of a shielded WC equipped with a shredder, which sends the sewage to a collection tank in plastic reinforced by fiberglass. When this tank is full the sewage is deviated to the second tank. A timer is present which evaluates the decaying time of the sewage. Measurement begins when the basin reaches the maximum level. It can be emptied using a key selector. When the second tank is full, the sewage is then deviated back to the first tank if it has been emptied. The cycle repeats in turn. The system also allows the sewage to be sampled via ball valves located on the front of the structure. The vapors that are produced inside the tanks are eliminated via an active coal filter.